This CoQ10 is a natural antioxidant that can, in humans, help to improve survival time and ease depression. In the Dog Cancer Survival Guide, Dr. Dressler recommends this for dogs who are undergoing chemotherapy as they are at risk for heart toxicity, however, he does not recommend this for all dogs as it can have a negative affect. In spite of this, Dr. Dressler believes that the positives far outweight the negatives of this product. 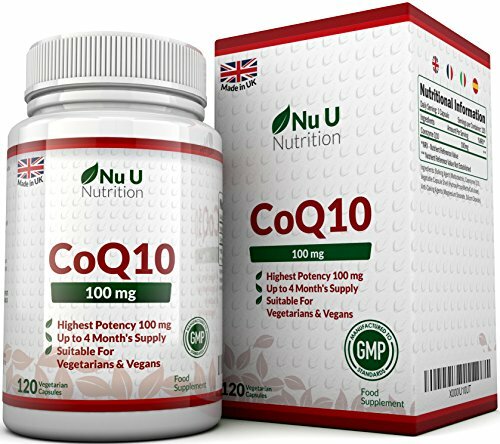 You should consult with your vet about using a Coenzyme Q10 as there are a number of precautions you should be mindful of. 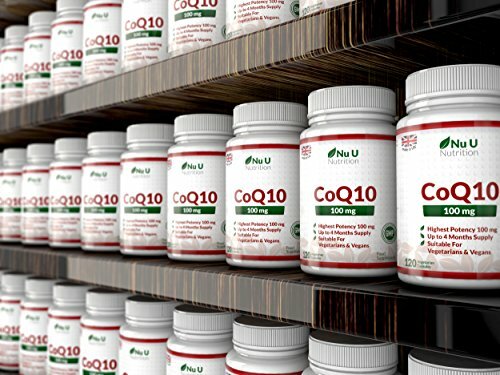 CoQ10 energizes is an antioxidant that protects and energises cells. 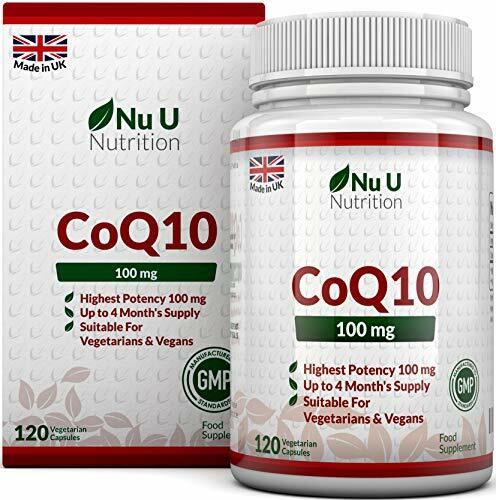 Co Q 10 is present in almost every cell in the body so is vital to the functioning of your body. The supplement is highly recommended with national press praising its effectiveness and US cardiologist Dr Peter Langsjoen recommending that people over 30 raise their CoQ10 intake. 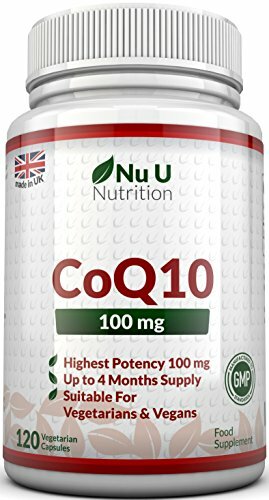 Why Buy Nu U CoQ10? 100% MONEY BACK GUARANTEE - No questions asked, feel the benefit or your money back. 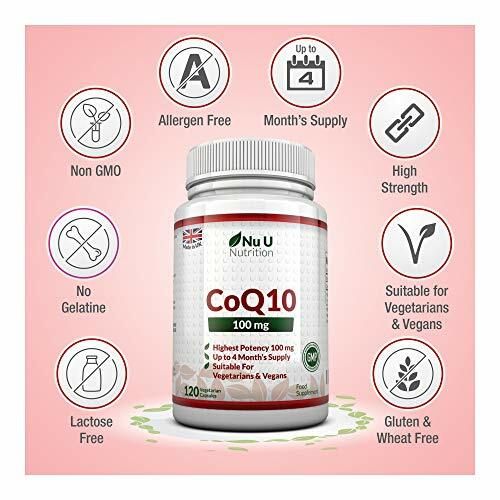 ADVANCED FORMULA - Our Coenzyme Q10 supplement is a full 100mg and has been designed to give maximum bio availability while being easy to swallow. UP TO 4 MONTH SUPPLY - Amazing value, so simple no need to reorder for a full FOUR months if you take one capsule per day. UK PRODUCED - Produced to the highest manufacturing standards in the world in a state of the art facility. We do NOT just bottle the finished product in the UK like some competing brands, the production process is carried out 100% in the UK.